Farah is an engineering PhD student at the University of Washington. She studies language and algorithms to help teachers and students find better ways to learn. 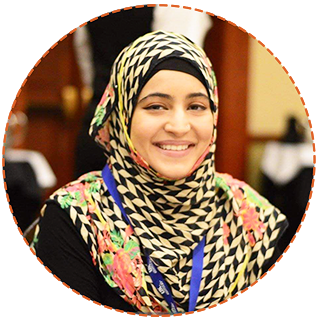 Through technology and engineering, Farah is dedicated to helping improve the lives of everyone around her. "Women can be skilled, logical thinkers and they’re more than capable of excelling in STEM. So, if someone is telling you otherwise, it’s a good idea not to listen to them." As an engineer, Farah says that failing and figuring out why you failed is a huge step forward in succeeding!